The researchers supply an image of an area in a drop of (Sanofi Pasteur MSD’s) Repevax (diphtheria, pertussis, tetanus, polio) vaccine “where the morphology of red cells – we cannot tell whether they are human or animal- is clearly visible” along with the presence of “debris” composed of aluminum, bromine, silicon, potassium and titanium. Add one more item to the growing stack of published medical literature linking vaccines to the current explosion of autoimmune diseases from skin afflictions to neurological disorders. A paper published in October 2015, the journal Pharmacological Research is an international team of immunologists’ roundup of current findings on vaccine-induced disease — and their conclusions are in sharp contrast to public health’s “safe and effective” mantra that denies any such connection. Autoimmunity can manifest acutely, as encephalitis for example, or in a wide range of disfiguring and debilitating immune-mediated illnesses from alopecia to multiple sclerosis. These are soaring globally and together affect as many as one in five Americans today. Officials like those at the National Institutes for Health and the Centers for Disease Control claim some mysterious unidentified “environmental” factors must be responsible for the epidemic, but they obstinately refuse to look at the ever-increasing schedule of injected drugs that target the immune system. In the paper, the immunologists review current research and case studies of vaccine-induced autoimmunity in light of the new the concept of the Autoimmune Syndrome Induced by Adjuvants (ASIA) introduced by leading immunologist Yehuda Shoenfeld, MD in 2011. The ASIA model explains adverse events that have been linked to vaccination since it began according to new understandings of the mechanisms by which vaccine ingredients called adjuvants take effect. Adjuvants are designed to stimulate the immune system but in some individuals can trigger a cascade of immune reactions and symptoms (ASIA) that can eventually manifest as overt autoimmune disease. Bad as that all sounds, they also note that vaccination has been experimentally demonstrated to unleash the immune system’s production of autoantibodies – immune cells mistakenly directed at their host’s cells rather than invaders. “It has been widely demonstrated that autoantibodies can develop years before the manifestation of a full-blown autoimmune disease,” say the immunologists. Only a fraction of adverse events are reported and no long-term studies have ever been done to compare autoimmune disease in vaccinated vs. unvaccinated individuals or looked at the impact of the full schedule of vaccines on autoimmunity so it is a wonder that the immunologists still assert the general safety of some vaccines. 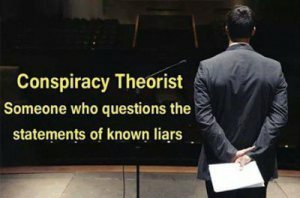 Especially given what they are just learning about others — like the totally unexpected but now indisputable link between the H1N1 Pandemrix (Glaxo) swine flu vaccine used in 2009 and a horrifying epidemic of narcolepsy among children who received the vaccine and will be disabled for life. How many cases of historical narcolepsy were caused by previous vaccines? No one knows. Future studies must be “better designed,” the paper concludes. Having true placebos rather than comparing one adjuvanted vaccine to another would be a start. And studies should follow recipients for many years rather than the usual month or two and large epidemiological studies of vaccines’ impact on autoimmune disease should be undertaken, the researchers add. Many parents and even many doctors may be surprised that such studies have never actually been done already, particularly for immune system diseases that are inexplicably soaring. But even more disturbing than these admissions from top immunologists is the paper’s unintended revelation of just how little is known about how vaccines impact the immune system. It turns out the top doctors don’t have a clue who is really in danger of vaccine injury or why. The study of ASIA and these adjuvant effects is just beginning to bring parts of the whole vaccine/autoimmunity phenomenon into focus. And what is most clear is not at all reassuring. In the study, published recently in the International Journal of Vaccines and Vaccination, the researchers led by Antonietta Gatti, of the National Council of Research of Italy and the Scientific Director of Nanodiagnostics, say their results “show the presence of micro- and nano-sized particulate matter composed of inorganic elements in vaccine samples” not declared in the products’ ingredients lists. Lead particles were found in the cervical cancer vaccines, Gardasil (Merck) and Cervarix (GlaxoSmithKline), for example, and in the seasonal flu vaccine Aggripal manufactured by Novartis as well as in the Meningetec (Pfizer) vaccine meant to protect against meningitis C.
Samples of an infant vaccine called Infarix Hexa (against diphtheria, tetanus, pertussis, hepatitis B, poliomyelitis and haemophilus influenzae type B) manufactured by GlaxoSmithKline/GSK was found to contain stainless steel, tungsten and a gold-zinc aggregate. (GSK’s) Fluarix vaccine for children three years and older contained 11 metals and aggregates of metals. Similar aggregates to those identified in the vaccines have been shown to be prevalent in cases of leukemia, the researchers noted. Once inside a body, foreign material in a vaccine shot, whether it is meant to be there as in the case of aluminum, or not, in the case of contaminants, launches the formidable immune system into action. Because these contaminants may persist in the body and stimulate the immune system, they may induce chronic inflammation and can manifest as autoimmune diseases when the immune system turns on its host’s own cells as in multiple sclerosis or type 1 diabetes. Vaccines have a long and sordid history of contamination. In 1955 batches of polio vaccine containing live polio virus infected and paralyzed hundreds of children. The tragedy became known as the Cutter Incident for the laboratory where the vaccines had passed safety tests with flying colors. In 2009, more than 40,000 doses of a meningitis C vaccine for babies were withdrawn from the British market when they were found to be contaminated with blood-poisoning bacteria, Staphylococcus aureus. In 2010, deep sequence analysis of eight different live attenuated virus vaccines revealed unexpected viral sequences in three of them: retrovirus avian leukosis was found in a measles vaccine, a virus similar to simian retrovirus was identified in (Merck’s) Rotateq anti-diarrhea vaccine developed by CDC consultant Paul Offit, and the entire genome sequence of porcine cirovirus1 was found in Rotarix (Glaxo) leading the FDA to suspend the rotavirus vaccine. In 2014, The US Food and Drug Administration GlaxoSmithKline to review the manufacturing operation of its flu vaccine when it found microbiological contamination of products purporting to be sterile. Originally published on Children’s Medical Safety Research Institute . The CMSRI is a medical and scientific collaborative established to provide research funding for independent studies on causal factors underlying the chronic disease and disability epidemic. You can follow CMSRI on Facebook and Twitter for the latest updates. “We already know that the aluminium content of brain tissue in late-onset or sporadic Alzheimer’s disease is significantly higher than is found in age-matched controls. So, individuals who develop Alzheimer’s disease in their late sixties and older also accumulate more aluminium in their brain tissue than individuals of the same age without the disease. Well researched. Will read in detail when I have more time!